ARC will be the most important location for key companies and individuals involved in the future of global food and agricultural technology. The UK is a global centre of excellence for AgriTech research, development and innovation, with £200 million of additional funding invested nationally since 2013 through the UK Strategy for Agricultural Technologies. 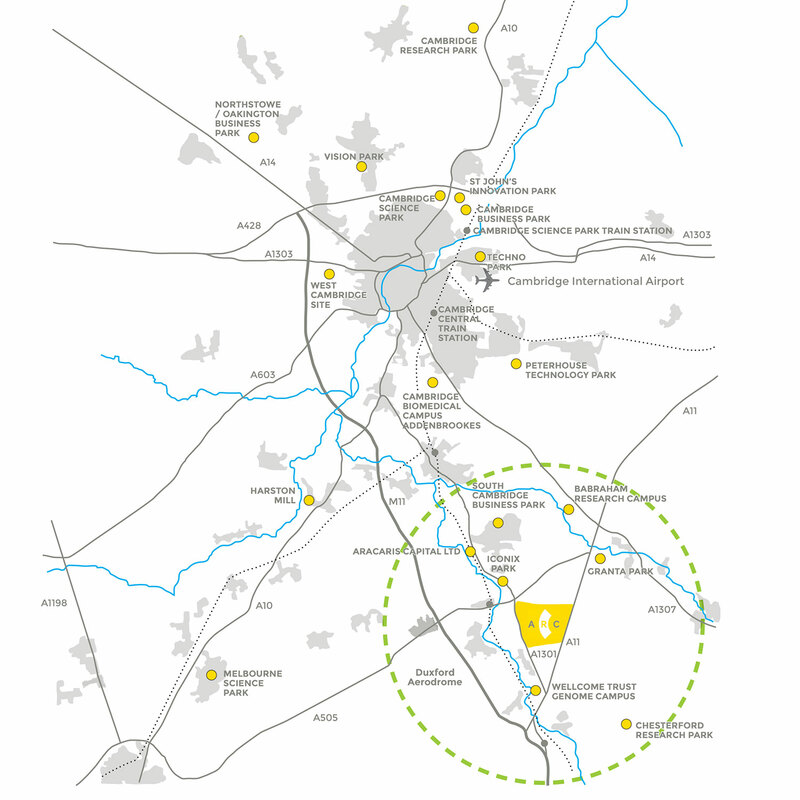 ARC has the unique opportunity to build on the established reputations of Cambridge University, Cambridge-based science parks, the technology and agriculture corridors in our vicinity and the East of England’s life science heritage. Cambridge has a globally recognised concentration of life science, advanced technology and research establishments unmatched in Europe that continues to grow at 7% per annum. Cambridge is also the leading entrepreneurial ecosystem for early stage and high growth technical companies in the UK.